CINCINNATI—On Oct. 28, the U.S. Court of Appeals for the Sixth Circuit decided the case of what the court called “self-described Christian evangelists preaching hate and denigration to a crowd of Muslims, some of whom responded with threats of violence.” The court held that police officers in Dearborn, Michigan violated the evangelists’ free-speech rights when the officers ordered them to disperse and threatened to arrest them for staying. Aside from New York City, Dearborn has the largest Muslim population in the United States and hosts an annual festival. Attendance at the festival has grown steadily, now exceeding 300,000 attendees over three days. Various groups offer non-Islamic messages in response during the festival, including some Christian groups which seek to evangelize Muslims and call on them to come to faith in Jesus Christ. A three-judge panel of the Sixth Circuit—which has jurisdiction over Ohio, Michigan, Kentucky, and Tennessee—originally sided with the police. The court then took the rare action of rehearing the case “en banc,” meaning all 15 judges on the court heard the case together. In an opinion authored by Judge Eric Clay, by a 10-5 vote the court held that the officers had violated the First Amendment. The court also held 8-7 that the unconstitutional conduct was so inexcusable that the officers are not immune from personal financial liability for their actions. The case is Bible Believers v. Wayne County. County police argued that they responded to every instance of dangerous or illegal activity. “They apparently did not see very much,” the court noted sarcastically. 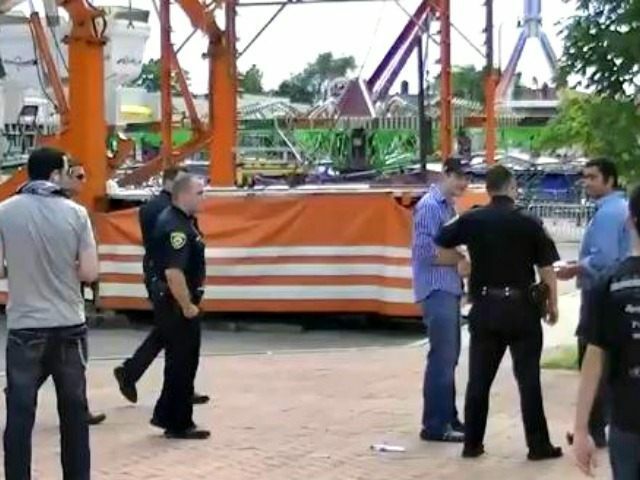 … the Bible Believers attended the 212 Festival for the purpose of exercising their First Amendment rights by spreading their anti-Islam religious message. When a crowd of youthful hecklers began gathering around the Bible Believers, the police did nothing. When the hecklers began throwing bottles and other garbage at the Bible believers, a [sheriff’s deputy] intervened only to demand that the Bible Believers stop using a megaphone to amplify their speech. Virtually absent from the video in the record is any indication that the police attempted to quell the violence being directed toward the Bible Believers by the lawless crowd of adolescents. Clay is clearly not a fan of the Bible Believers, as his opinion includes language that is sharply critical of the protesters’ views, using words such as “bigoted” to describe some of their views. Judge Clay’s opinion also included factual errors, such as when listing the nations that Dearborn’s Muslims come from, referencing “Palestine” as a nation. Many of Israel’s most ardent foes speak of a nation called Palestine as part of the propaganda campaign that there was never a kingdom of Israel in the ancient Middle East, and instead that Israel is a modern invention, whereby Jews displaced a preexisting nation. To the contrary, while the land in that area has been controlled over the centuries by the Romans, the Ottoman Empire, and others, there has never been an independent nation-state called Palestine. The court explained, “We affirm the comprehensive boundaries of the First Amendment’s free speech protection, which envelopes all manner of speech, even when that speech is loathsome in its intolerance, designed to cause offense, and, as a result of such offense, arouses violent retaliation.” The court also held that the police violated the Bible Believers’ right to freely exercise their religion by sharing the gospel, as well as the Constitution’s Equal Protection Clause by treating the Bible Believers differently than other speakers. Ken Klukowski is legal editor for Breitbart News, and a former law clerk to a judge on the U.S. Court of Appeals for the Sixth Circuit. Follow him on Twitter @kenklukowski.